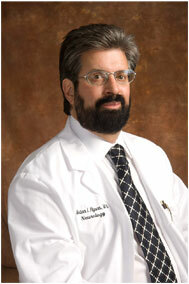 ﻿ Las Vegas Neurologist, Dr. Morton Hyson, M.D. Morton I. Hyson, M.D., P.C. Welcome to the practice of Morton l. Hyson, M.D., P.C. Dr. Hyson and staff look forward to providing you with the best in Neurological care. Please take some time to explore our website. You will find valuable information about Neurology, the testing that is done in our office, and the Hyson Headache System; created and patented by Dr. Hyson. New Patients can download the required forms needed for the first visit, like the Patient information form, the Medical History form, and others. This will give you the opportunity to take your time, fill the forms out at your leisure, and be ready for your first appointment with Dr. Hyson.